Our oh-so-popular Bling Necklace is now available in this warmer Rose Gold tone so that you have more fashion choices than ever! 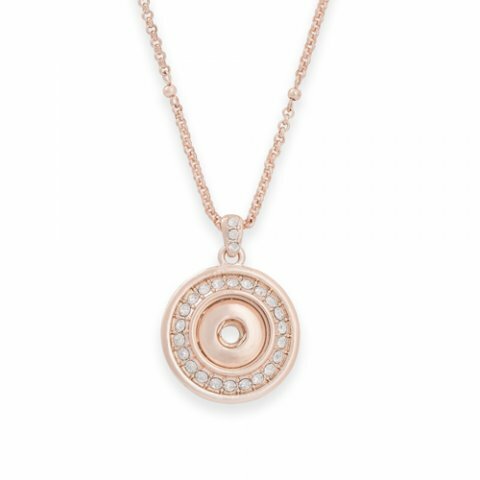 The round pendant is circled round with sparkling crystals to dress up any outfit. Simply snap in your favorite 12mm Original Dot to complete your look.